These days, many individuals are going above and beyond to try and eat healthy while also saving money. The economy is forcing individuals’ hands in terms of penny pinching and spending wisely, and a new social focus on healthy living is causing many to find ways of eating healthier. These two ideas are usually butting heads with one another as healthy foods typically cost more than that of processed food. Vegetables and fruits in particular can be very costly and some have to make sacrifices and or tradeoffs in their battle to look and feel better and maintain money in their bank accounts. 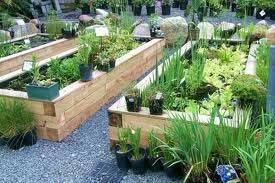 One way to get the best of both worlds, in addition to exercise and a new hobby is starting a food garden in your back yard. This provides an individual or even a family with fresh, healthy food options, while also creating savings within the families’ food budget. It can save money and waistline inches while providing entertainment, fun, and delicious food you created yourself. Most aren’t born with a green thumb, nor can one quickly gain one through reading a few books or planting one or two plants. However, the process and skills it takes to grow successful plants can easily be learned and only takes some time, energy, and patience. Planning and executing a home garden plan can be a calming and relaxing venture that many can enjoy. There is no shortage of information through the internet, magazines, and books that can guide even the most novice of gardeners how to successfully start their home food source. Being green and using renewable food sources is great for the environment and also a very trendy route to accomplishing your health and spending goals. We’ll talk about the easiest ways to start a garden, as well as the tools you’ll need, and some of the first plants you should try for early success. As most are aware, different plants grow during different seasons, which means a well-planned and taken care of garden can provide lots of food sources that vary during different times of the year. Summer months are going to be by far your largest harvest. Plant seeds and mulch are a very inexpensive part of the home garden process. One of the bigger costs associated with a garden is water. Water is not cheap and during the hotter months, quite a bit is needed. Lucky for us in the Pacific Northwest is our abundance of rain which helps lower the overall cost of plant watering. There are several ways in which one can save money and time in regards to their home garden. One thing to keep in mind is that water is expensive, but can be used wisely and replacing dead plants and trees will always cost much more than water will. One great way to conserve water, while preserving your plants, is to group like watered plants together in your garden and yard. Some plants need less water than others, and grouping plants that need lots of water together can save a lot of time and money. Covering plant areas with a layer of mulch will cool the soil, which in turn helps the soil hold water and reduce evaporation. It also helps to avoid excess water runoff. Always water in the cool of the morning or evening, as the heat of the midday leads to quick evaporation and burn which leads to plants dying and getting disease. Plants need constant attention and water, but overwatering is not only costly but harmful to your plants. 1 to 2 inches of water is all that’s needed on a weekly basis. To help with understanding how much water you’re using, place several empty cans near the plants you are watering with 1 to 2 inches marked on the inside. After watering, check to see where the water level is within the inside of the can. You can make watering adjustments off of this measuring method. Having early success with your home garden is important to getting a good start and confidence in your gardening abilities. Make sure your garden plot gets at least 6-8 hours of sun a day. Anything too shady will not provide enough sun vitamins to your plants. Avoid placing your food garden too close to large plants or trees, as these will steal all the water and nutrients you’ve planned for your fruits and vegetables. Being aware that wild animals can steal your fresh, ready to eat foods is also important. Having a small fence, raised bed, or some other form of animal deterrent is important to not lose your whole crop right before harvest. To better understand the best times of the year and plants to harvest in your area, check with a local cooperative, who will be more than willing to share their knowledge and expertise with you. Most gardening experts recommend a garden around the size of 16X10 feet and having 10 or 11 rows that are each 10 feet long. To maximize sun exposure, make sure your rows are running north and south and not east to west. Planting and harvesting seeds you are interested in eating is very important, but for beginners just looking for some success and food to harvest should start with: tomatoes, zucchini, squash, peppers, cabbage, bush beans, lettuces, beets, carrots, and radishes. Starting a smaller garden is important in that you can always increase the size later, and a successful small garden is always going to be much better than an overwhelming large garden. Good luck and keep in mind through the early processes how good fresh, organic fruits and vegetables you grow yourself will taste!